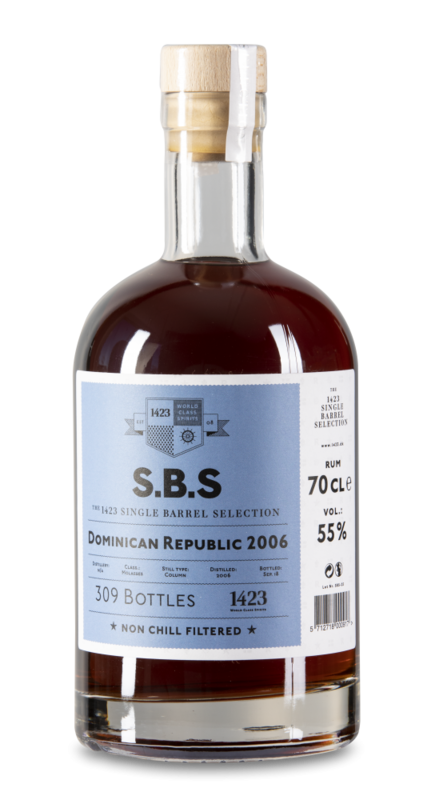 S.B.S Dominican Republic 2006 comes from a single cask, which yielded 309 bottles. It was distilled in a column still and is non chill filtered. Nose: Pleasant aromas of coconut cream, walnuts and oak and hints of spices. Palate: Roasted walnuts and sandalwood evolving in a dry and bitter finish of medium length.